Jobs apparently tried to take one of these on his private jet. September 14, 2010: Airport security workers reportedly stop Steve Jobs at Japan’s Kansai International Airport. The reason? 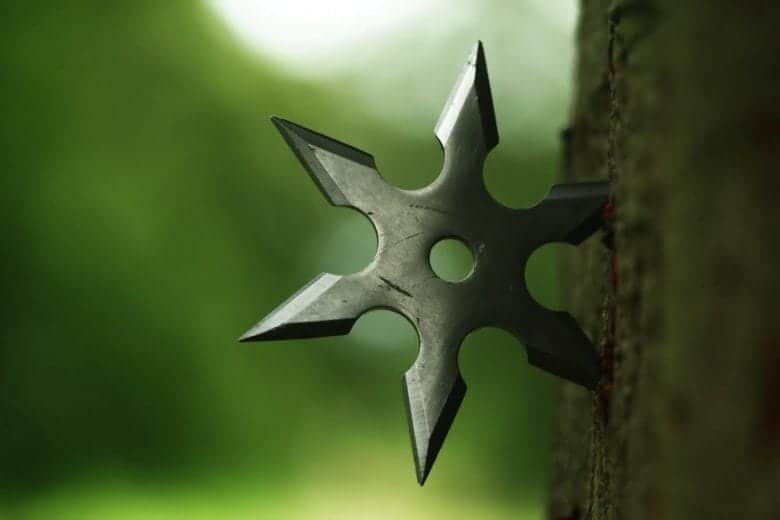 The Apple CEO supposedly tried to bring ninja throwing stars onto his private plane while heading home from vacation. It’s one of the most bizarre Steve Jobs stories ever. Apple, however, quickly spoils the internet’s fun. Cupertino issues a statement describing the reports as “pure fiction” (although Apple acknowledges that Jobs visited Japan over the summer). Steve Jobs ninja stars: Pure fiction? The “Steve Jobs ninja throwing stars” story was covered prominently by Bloomberg, as well as Japanese tabloid magazine SPA! Authorities stopped Jobs during an airport security scan, the reports said, after detecting the ninja weapons in his carry-on luggage. The story cited unidentified officials at the airport and from within Japan’s transportation ministry. An airport spokesperson confirmed that the incident took place, but stopped short of identifying the person involved. Although Apple insisted the events never transpired, Jobs’ alleged response to officials sounded like quintessential Steve: He supposedly argued that the rules shouldn’t apply to him because it would make no sense for him to hijack his own private jet. He then reportedly said he would never again visit Japan. Jobs harbored a lifelong affection for Japan, and visited often. The most obvious illustration of this was the mock turtleneck he wore throughout his 1997-2011 stint as Apple CEO. The shirt, created by Japanese fashion designer Issey Miyake, was inspired by uniforms worn at the Sony factory in Japan. Jobs also loved Japanese food (he became a regular at Jinshō, a sushi restaurant in Silicon Valley). Plus, he collected artisanal objects — such as ceramics — during his trips to Japan. Besides, it’s kind of fun to picture the Apple PR flack given the story’s details and told to make the reports disappear!